Pls Read Special Cancellation Policy For Bhutan In The Terms And Condition Section. Pick Up & Drop - Bagdogra. Deluxe And Premium Package Available On Request. Pls Read Special Cancellation Policy For Bhutan In The Terms And Condition Section.Meals. Payments for service provided on a personal basis. Cost for any services not mentioned in the "Cost Include head". Personal expense in items such as laundry, soft drinks, Camera Charges, Bottle water. 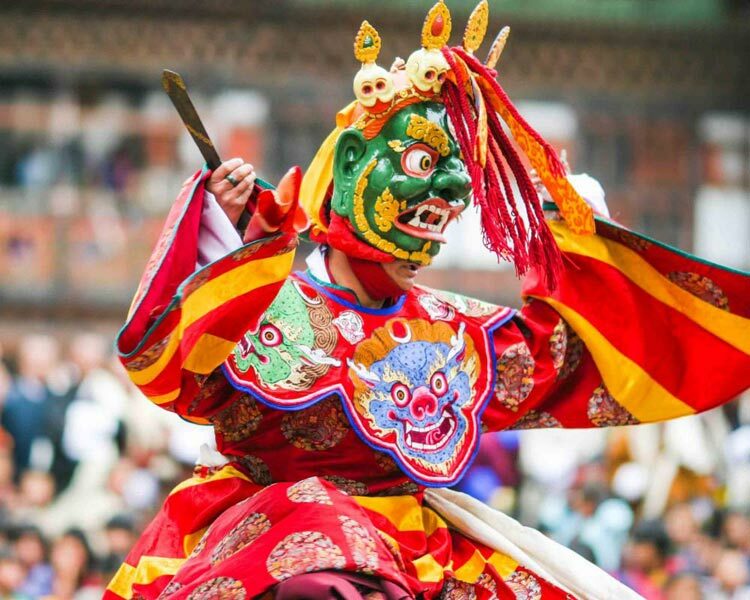 Our Representative from Bhutanitis Travels will receive you in the airport and drive you towards Phuntsholing. Phuntsholing is the Border town lying in the Indo -Bhutan border. After arrival in Phuntsholing, the driver will assist you in availing your entry permit. Overnight halt in Central Hotel in Phuntsholing. After breakfast, drive to Thimphu. Halt for Lunch in Wangkha. Overnight halt in hotel Panchasheel or similar in Thimphu. Visit Kuensel Phodrang, where the largest statue of Sitting Buddha is located. Visit National Memorial Chorten built in the memory of the late King Jigme Dorji Wangchuk, who is also known as "father of Modern Bhutan". After lunch drive to Punakha. On the way to Punakha, halt in Dochu-La Pass (3140 m) for photography. Overnight halt in Damchen Resort or similarin Punakha. Visit to Punakha Dzong - Built in 1637, by Zhabdrung Ngawang Namgyal to serve as the religious and administrative center of the region. Visit Chimi lakhang also Popular among the locals as the "temple of fertility" in Lobesa. Overnight halt in TashiLhading Resort or similar in Paro. Visit Ta Dzong(National Museum) and Rinpung Dzong. Overnight halt inTashiLhading Resort or similar in Paro. After breakfast, take a hike to the Tiger’s Nest (Paro Taktsang). 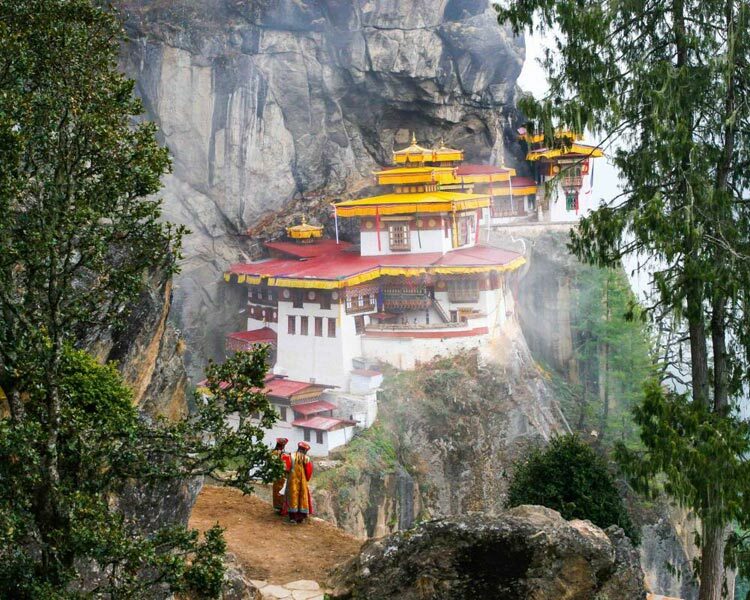 This is the most visited tourist destination in Bhutan, attracting tourist from all over the world. It is a temple perched alongside a cliff 900 meters above the ground. It is said that Guru Rinpoche flew towards this site on the back of a tigress, hence the name Tiger’s Nest. After the Hike, you are free to stroll around Paro Town for shopping. Day 7: Paro To Phuntsholing. After breakfast, drive towards Phuntsholing. After an early breakfast, drive towards Siliguri. Overnight halt in hotel Deb jyoti or similar in Siliguri. Day 9: Departures From Bagdogra Airport. After breakfast, your transport will drive you towards the airport and bid you farewell. Your trip comes to an end here and we bid you farewell and a safer journey. TASHI DELEK!! Incidentals, Portage, Bellboy charges tips or any other services. PAYMENT OF BOOKING AMOUNT WILL BE TAKEN AS CONSENT FOR ALL THE TERMS AND CONDITIONS BELOW. MORNING 8.30: AM to EVENING 6 PM . ( 9.5 HRS MAX ). For extra service , please negotiate with the driver with his consent. Booking amount is 25 %. 25 % within 7 days. 25 % , one day before the completion of Tour. LATE PAYMENT CHARGES: In case the amount is not disbursed , then legal action will be taken within 7 days with late fine of Rs.500 / day. Program once finalised , will not be changed under any circumstances. It can only be changed after paying modification fee. Minimum charge for any modification is Rs 500 per modification or cancellation of any component , like hotel , type of room in same hotel or car , type of car etc . The new price will be set at actual ( plus taxes & service charges) plus Rs 500 / modification. Change in itinerary or tour plan will be charged at Rs 2000 for one time changes. The new price will be set as actual plus taxes and service charges. 1.15 working days before the actual date of booking -No refund. 4.Minimum cancellation charge : 15 % prior to 46 to 60 working days. For any cancellation , Hotel cancellation policy will be applicable. Execution of packages are dependent on normal weather and free from natural calamity like landslide , storm , excessive snowfall . If due to any reason like natural disaster or Political bandh , strike , riots or health issue of any Guest - we are not able to execute the package , then we will not be held responsible. We will try our best to arrange alternate sightseeing but it wll not be binding on us or be a reason for demanding refund. The amount of refund if any , will be our discretion / decision. Less than 7 working days from the date of travel, cancellation charge will be 100% of the Total package cost. No Refund. 7 -15 working days from the date of travel, only 25% of the total package will be refunded. 15-30 working days before the date of travel, only 50% of the total package will be refunded. More than 30 working days from the date of travel 85 % of the total Package cost . NOTE : IMMIGRATION TO BHUTAN IS CLOSED ON SATURDAY , SUNDAY AND IN HOLIDAYS OF BHUTAN. PLS PLAN YOUR DATES ACCORDINGLY. Any terms and condition can change without prior notice.